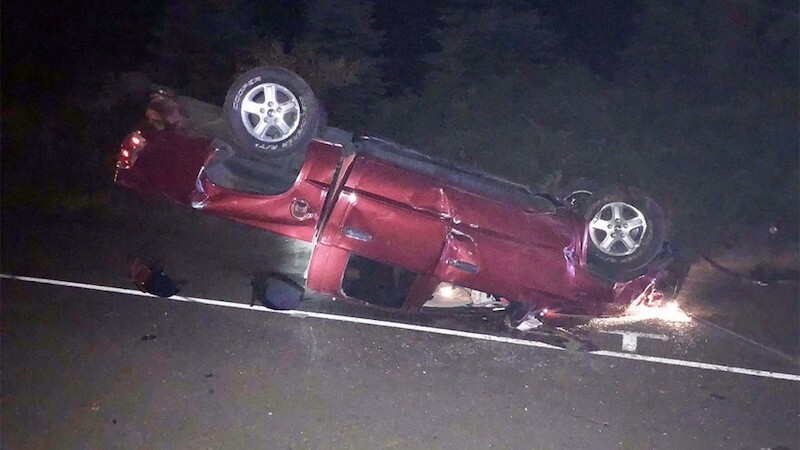 A driver suspected of being under the influence caused a serious crash Monday night on State Route 12 in Aberdeen, according to the Washington State Patrol. The incident occurred around 9:20 p.m. about six miles east of Aberdeen. A police investigation found that the driver of a green SUV was heading west on SR12 when he hit a tanker truck, spun and crashed into a red pickup truck. The SUV and pickup both rolled. Both were totaled. The driver of the pickup, a 54-year-old Montesano man, suffered a collapsed lung and was transported to Community Hospital in Aberdeen. The driver of the SUV, a 22-year-old Aberdeen man, was suspected of driving while impaired and faces vehicular assault charges. He was taken to the hospital for his injuries. The tanker truck driver was not injured. The collision blocked SR12 for about four hours. Injured by a DUI Driver? DUI crashes are serious and life-changing. Only an experienced personal injury lawyer should handle these cases. If you’ve been seriously injured or lost a loved one to a drunk driver, there is no amount of money that can cover that pain. However, every little bit helps. Drunk driving accidents are preventable. In the event of a drunk driving accident, hire an attorney to receive the justice you deserve. If you were injured in an accident involving drunk driving, you shouldn’t waste any time. You should seek the assistance of a personal injury attorney with experience in representing the victims of drunk driving accidents. Some lawyers represent DUI victims as well as drunk drivers themselves. Go with a lawyer that wants to hold DUI drivers responsible. The right attorney can help to ensure that you receive the best possible medical care and compensation for your injuries to the maximum extent permitted by law. When medical bills are piling up and you’ve missed time from work, these is crucial. Davis Law Group, P.S., has significant experience in managing personal injury cases, including those arising from the negligent and reckless act of getting behind the wheel of a motor vehicle while intoxicated. For a free case evaluation, contact us today. Call (206) 727-4000, use the chat feature or fill out the form on this page to get started.